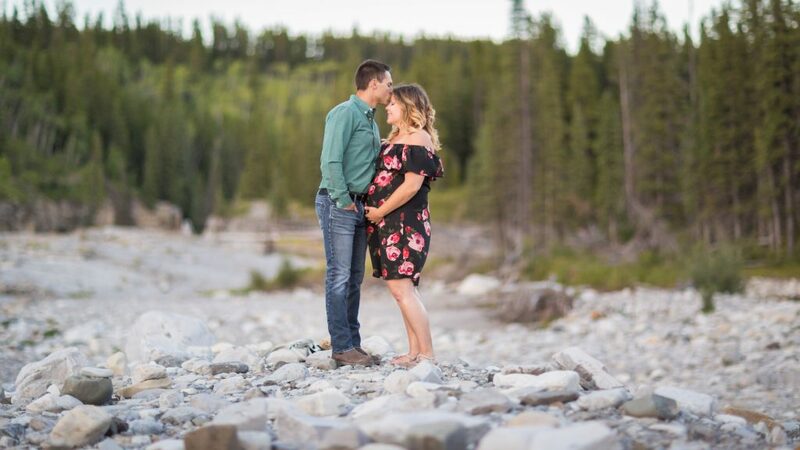 Kirsten and Corey love adventure and they are always exploring new and beautiful locations. Their Elbow River Falls maternity photos took us to one of the most picturesque spots in the foothills. When we say that Kirsten and Corey are avid adventurers we mean that they spend their weekends hiking up mountains, scouting out gorgeous waterfall look outs and wandering the wilderness with their trusty canine companion, Bean. 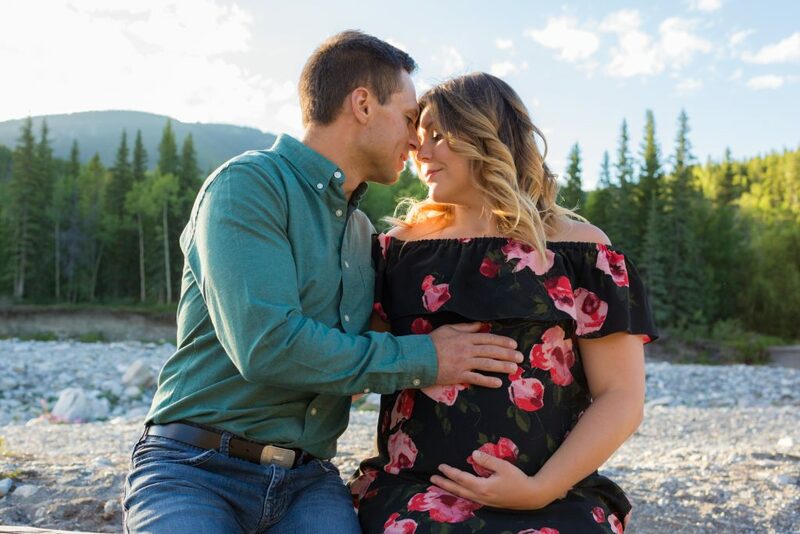 Their engagement session took place on a mountain top in Canmore, so logically they had to find an epic location for their maternity session. When we first got the call that Kirsten and Corey were expecting we were over the moon. 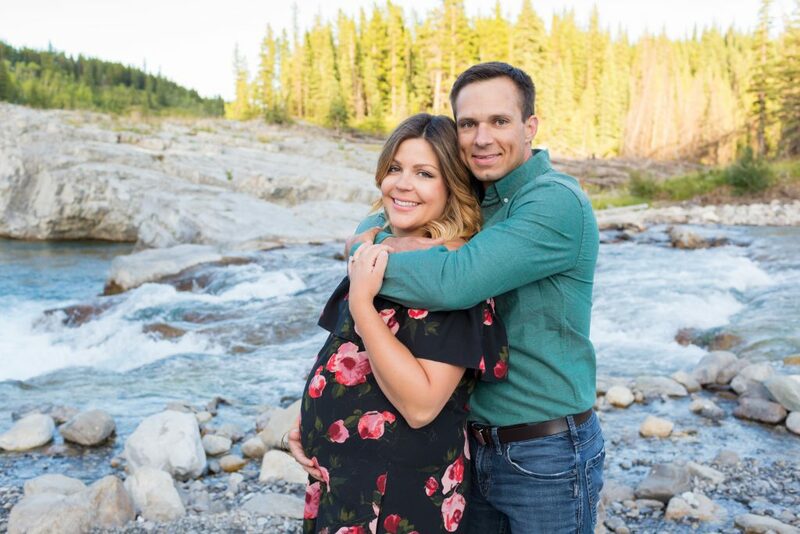 For the past ten years or so we have gotten to know Kirsten and Corey as amazing neighbours, doggy-parents, a beautiful bride and groom and now as expecting parents. Saying that we were excited would be a gross understatement. Elbow River Falls is a gorgeous slice of wilderness located just off the Cowboy Trail, about 45 minutes south of Cochrane. 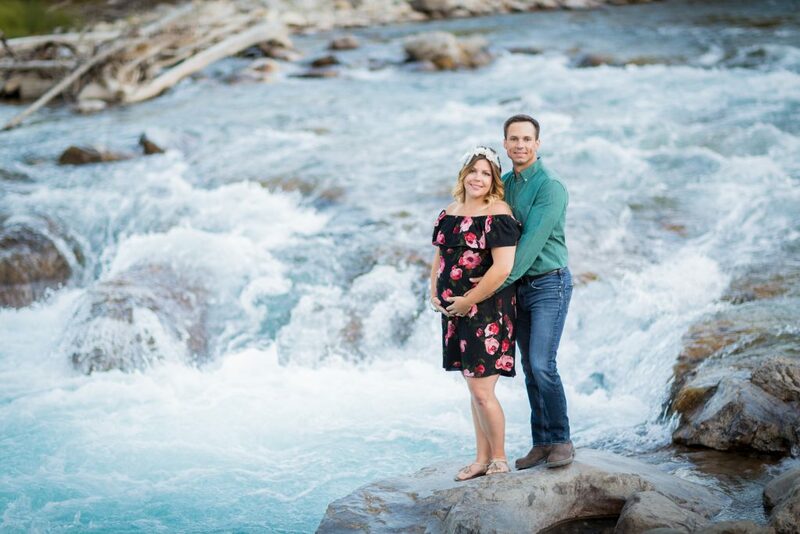 The roaring falls are coloured bright blue and make for a stunning backdrop for maternity portraits. 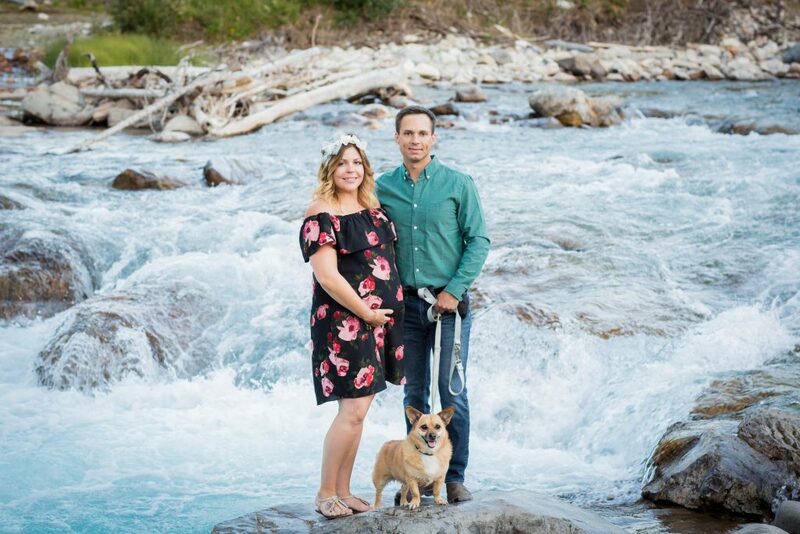 Kirsten and Corey brought their dog Bean along for the evening of adventure and family maternity photos. 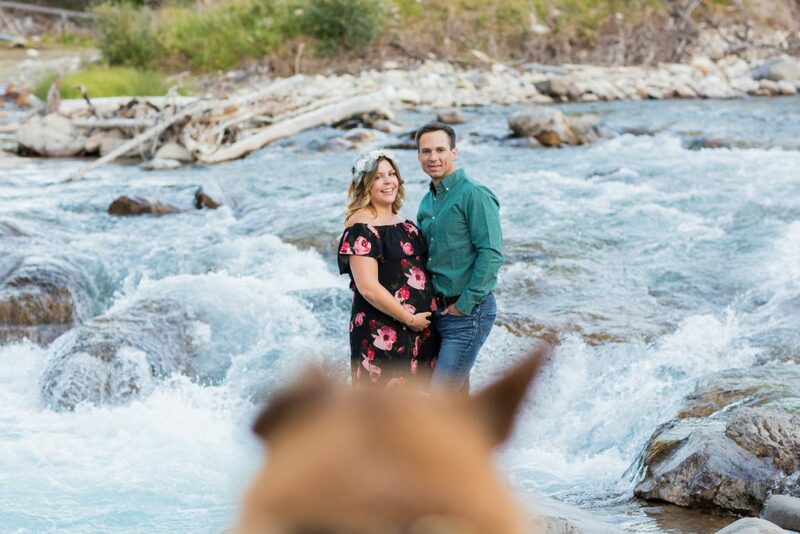 Our approach to maternity photos is very casual. 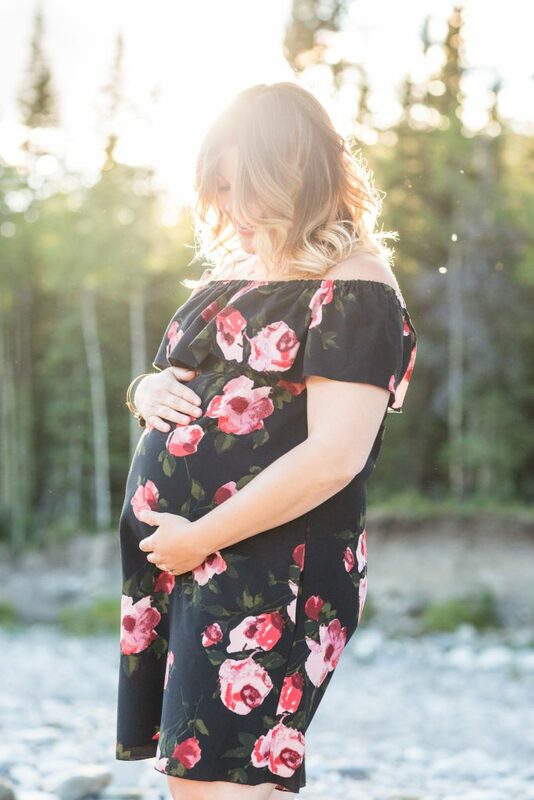 We are here to capture your love, your excitement and hope for the bright future of your growing family. 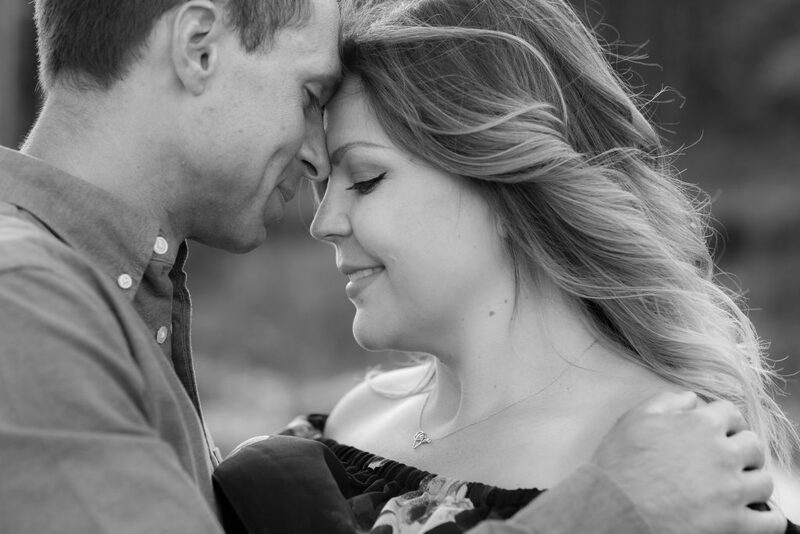 We love it when couples include the whole family, including pets, in their maternity session. We believe that photography has the ability to capture magical moments and bring families together. 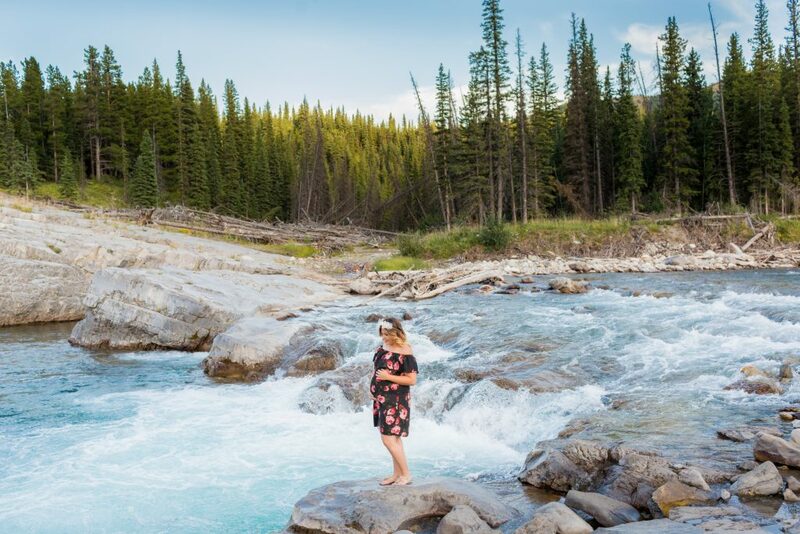 Thank you for inviting Deep Blue Photography to capture your stunning Elbow River Falls maternity photos. We are very happy to announce that Kirsten and Corey (and Bean) welcomed a healthy baby boy into the world. Sebastian and his family are all doing well. 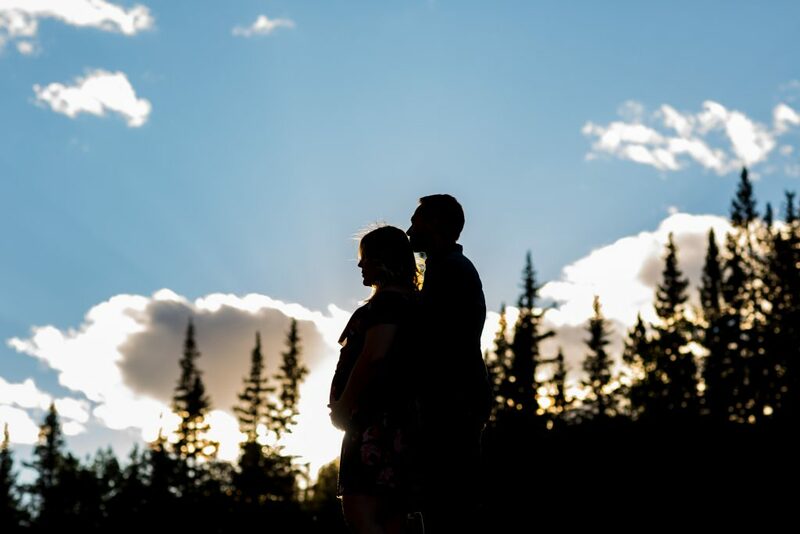 We are excited to share their newborn family portraits soon!